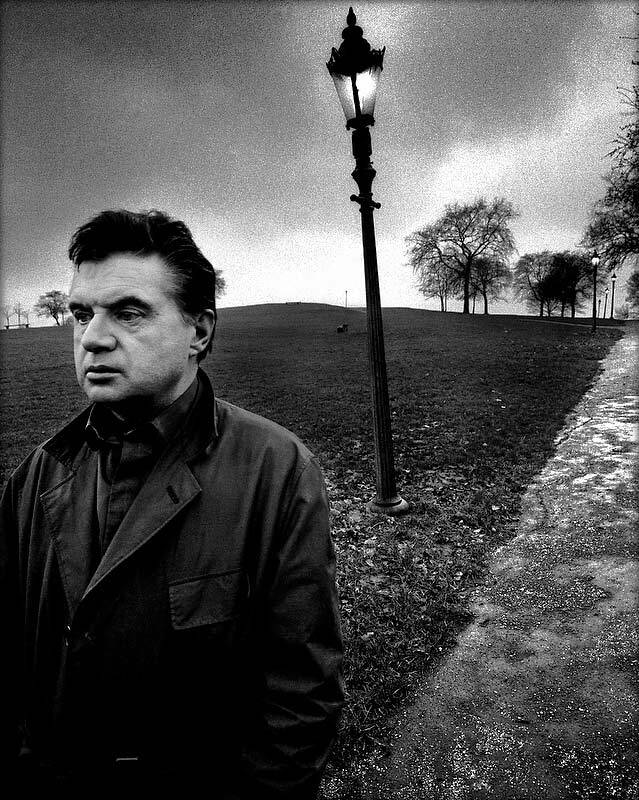 Francis Bacon didn’t like this portrait of him by Bill Brandt. I can’t think why, it’s one of the Brandt’s best and he was a very good editorial portraitist. It does capture some of the bleakness of Bacon’s painting style. 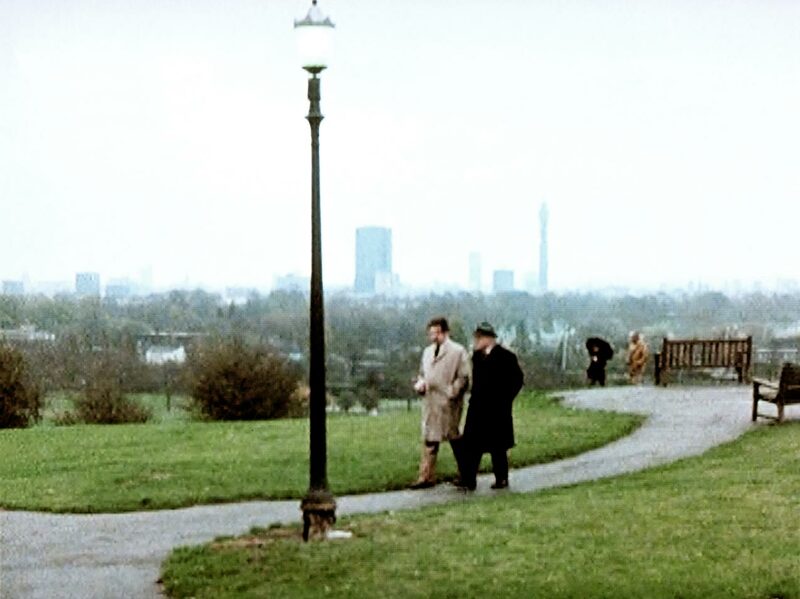 The photograph was taken on Primrose Hill in London, apparently on a wintry day, with Brandt’s harsh tonality making it look like a charcoal drawing. 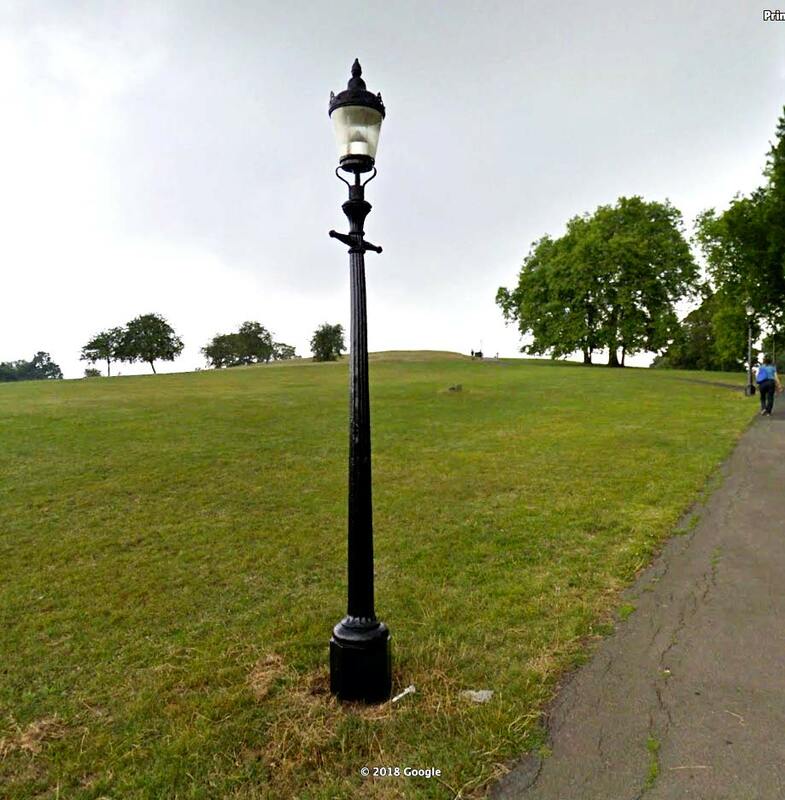 The location can be found on Google Street View – this screenshot shows where the two greats stood to make the picture. Isn’t it odd that the cloud formation is so similar? Fifteen years later, another notable artist was captured in the same spot, but this time it was an actor. 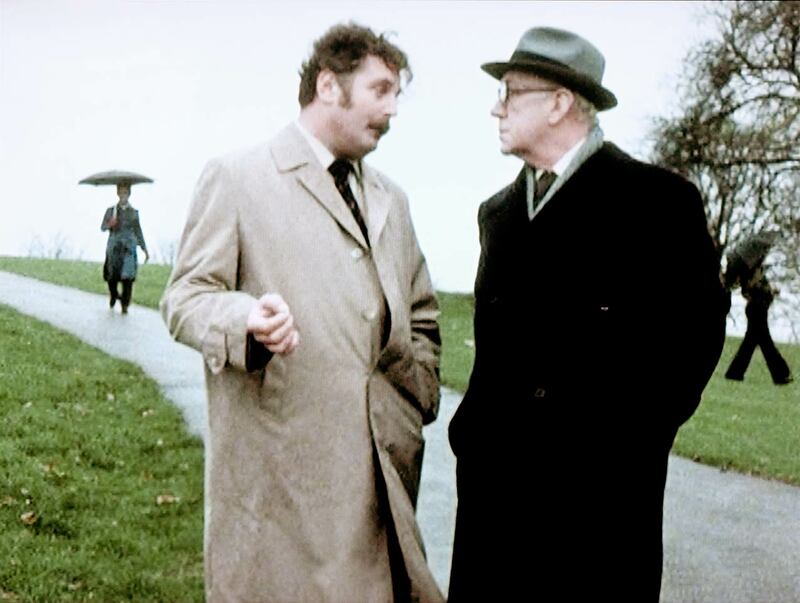 In the television series Tinker, Tailor, Soldier, Spy, from the book by John Le Carré, the great English actor Alec Guiness was filmed in a scene with the actor Terence Rigby. 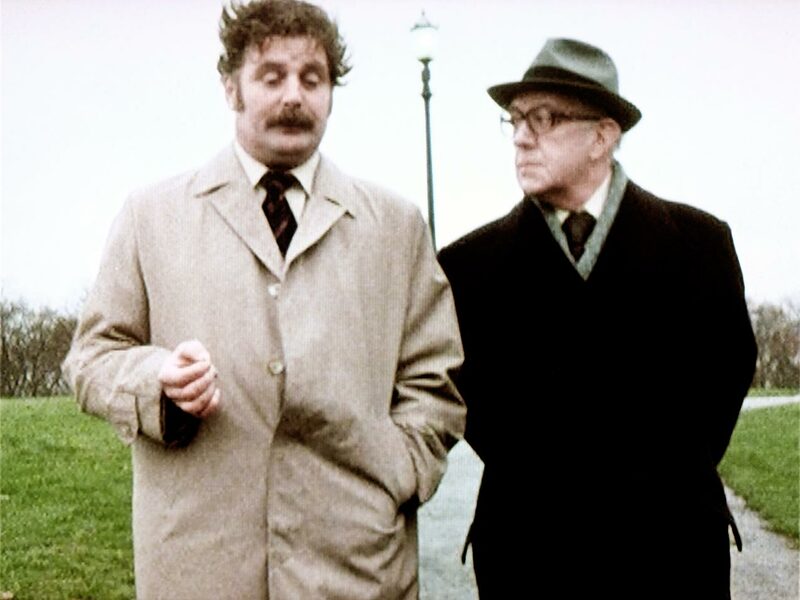 They are both senior spies discussing the political intrigues of the ‘circus,’ their nickname for the MI6 branch at Cambridge Circus in Central London. Your title got me in immediately Greg…a teasingly intriguing connection, and rather appropriate! That you for tracking it down…and the Google Street View.